New Delhi/Geneva, 18 March 2015 — Ahead of a meeting in Jaipur, India next week between US pharmaceutical company Gilead Sciences and several Indian companies which have entered into an agreement with Gilead to produce hepatitis C drugs, Médecins Sans Frontières/Doctors Without Borders (MSF) urged the generic companies to reject a highly-controversial programme that could compromise people’s treatment and confidentiality. The programme - which places multiple restrictions and demands on people receiving treatment - is designed solely to protect Gilead’s commercial interests, and is unprecedented as far as MSF is aware. MSF is working to start treating people with hepatitis C in nine developing countries, and is looking for affordable all-oral hepatitis C medicines (direct-acting antivirals) to simplify treatment scale-up for both doctors and patients. Through discussions with Gilead and generic companies over accessing the drug sofosbuvir, MSF has learned about the anti-diversion programme Gilead wants in place to prevent people in developed and some middle-income countries - where the drug is exorbitantly priced - from accessing low-cost versions not available in their own countries. In the US, Gilead charges $1,000 per pill for sofosbuvir, or $84,000 for a three-month treatment course. “We’ve never seen anything like Gilead’s anti-diversion programme before, where a company can potentially violate patient confidentiality and compromise treatment outcomes in order to protect its profits. Gilead is forcing medical providers to introduce policing measures that could lead to dangerous treatment interruption for patients”, said Dr. Manica Balasegaram, Executive Director of MSF’s Access Campaign. The programme may require all patients receiving treatment to present national identification and residency papers, which could immediately disqualify migrants, refugees or marginalized people who may not have such papers, but are often those most affected by hepatitis C.
It also requires people receiving treatment to submit to a highly-controlled dispensing procedure that could undermine patient confidentiality, and does not allow people to continue treatment if they do not return their previous empty pill bottle. This could result in treatment interruptions and even treatment failure. 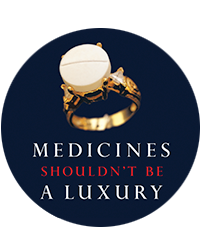 MSF may be asked to implement some or most of the conditions in this programme, and is greatly concerned that the programme will establish an ugly precedent and be introduced in all countries where the company and its generic licensees sell the drug. There are an estimated 150 million people living with the disease worldwide, the vast majority in developing countries. MSF today also released a technical analysis of Gilead’s voluntary licence agreement with Indian manufacturers, which excludes 50 middle-income countries, where 49 million people with hepatitis C live, including Thailand, Brazil, China and Morocco. The licence imposes multiple restrictions on where the drug can be sold and where active pharmaceutical ingredients can be sourced, but perhaps the most concerning is its excessively broad definition of a patent and product patents. This definition allows Gilead to deny patients in excluded countries access to low-cost generic versions of the drug produced under the licence, even if the patent in the excluded country has been rejected and is under appeal, or is pending. Meanwhile, Gilead does not currently have a granted product patent in India for any direct-acting antiviral. Gilead is putting in place a ‘tiered pricing’ strategy for the middle-income countries excluded from its licence, which will likely result in high prices for these developing countries that could range from $2,000 to $15,000 or more per three-month treatment course. Research from Liverpool University shows that sofosbuvir could be produced for roughly $1 per pill, or $101 per treatment course.